Delaware does not tax Social Security retirement benefits. It is one of just four states with no sales tax at the state or local level. Delaware has the fourth lowest property tax rates of any state. It also does not have an estate or inheritance tax. Is Social Security Taxable in Delaware? How high are property taxes in Delaware? Many retirees in the Northeast and Mid-Atlantic States move to places like Florida and Texas upon retirement, seeking warmer weather and lower taxes. While there’s no cure for the Northeast’s cold weather, seniors who want to reduce their tax burden may not need to look quite so far south. Instead, they might consider Delaware. The First State has no sales tax and property tax rates that are among the lowest in the U.S. It does not tax Social Security income and grants significant deductions for other types of retirement income. Read on to learn more about these and other reasons taxes are low for retirees in Delaware. Is Delaware tax-friendly for retirees? Yes. It is one of just four states with no sales tax at the state or local level. It has the fourth lowest property tax rates of any state. It does not tax Social Security income. Delaware does not have an estate or inheritance tax. It provides a deduction of up to $12,500 on income from pensions or retirement savings accounts. No. Delaware fully exempts all Social Security income from its state income tax. 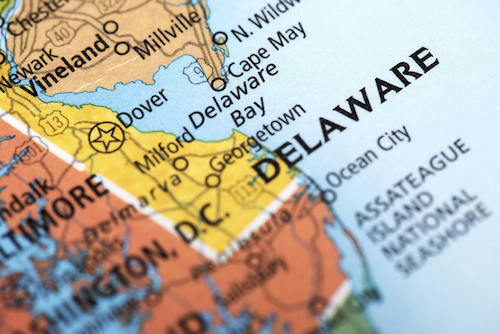 Are other forms of retirement income taxable in Delaware? Yes, but they are also eligible for a deduction. The deduction varies depending on the age of the taxpayer. For taxpayers less than 60 years old, the deduction is $2,000 per person. For taxpayers age 60 or older, the deduction is $12,500. The deduction applies to the combined total of all retirement income from pensions and retirement accounts like a 401(k) or an IRA. If you are 65 or older and have $12,500 or less in income from these sources, you will not pay income tax on them. Any retirement income in excess of the deduction will be included with other sources of income as part of your taxable income, to which Delaware’s state tax rates apply. The table below shows income tax rates in Delaware. Delaware’s average effective property tax rate is a mere 0.55%. That means a homeowner could expect to pay $550 in taxes for every $100,000 in home value. Housing costs in Delaware are far lower than those of most other states in the Mid-Atlantic but still about 8% higher than the national average. The median home value in the state is around $230,000. What is the Delaware senior school property tax credit? The senior school property tax credit is a form of property tax relief for seniors in Delaware. To qualify, you must be age 65 or older and own a home in the state as your primary residence. The credit is equal to 50% of school property taxes, up to a maximum of $400 per year. How high are sales taxes in Delaware? There is no sales tax in Delaware. That’s right, all Delaware purchases are tax-free. For many seniors, that could mean savings of hundreds of dollars per year on things like clothing, food and entertainment. 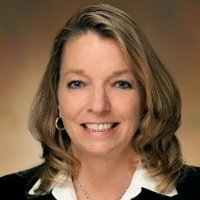 What other Delaware taxes should I be concerned about? As of Jan. 1, 2018, Delaware has repealed its estate tax. However, you may still owe estate taxes for deaths in 2017 or earlier. For 2017 the estate tax exemption was $5.49 million. That is the same as the 2017 federal estate tax rate. Estates with a total taxable value below that amount are not subject to the tax. 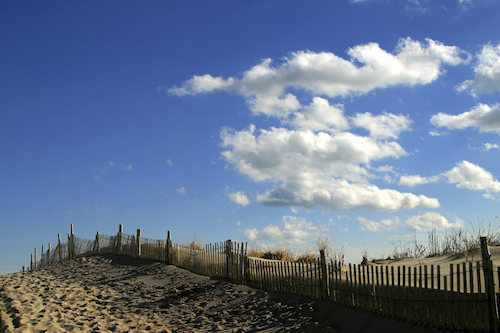 Capital gains in Delaware are also subject to tax. Long-term and short-term capital gains are taxed as regular personal income, at the rates shown in the income tax bracket table above. This is important to keep in mind for seniors who are planning on income from real estate sales or other types of investment income outside of retirement accounts.